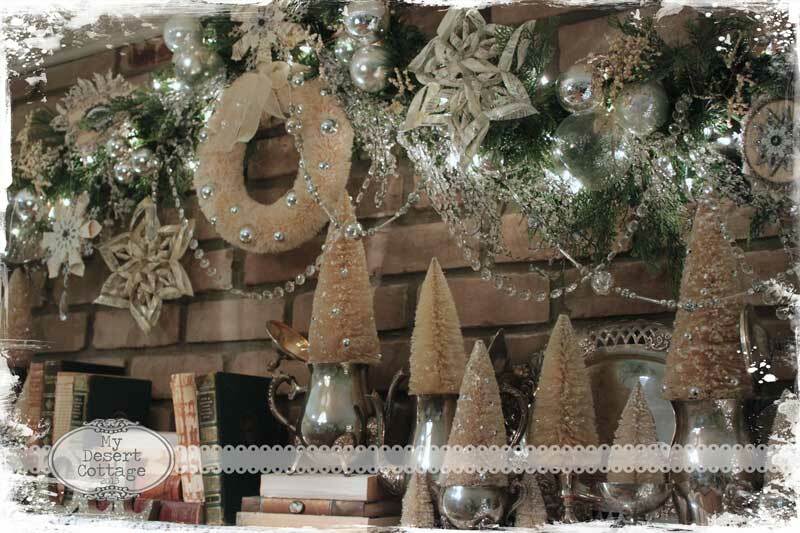 **My Desert Cottage**: A few Christmas pics before the big day! Your home is so warm and cozy - i'd love to peek in all the nooks and crannies! Merry Christmas to you too Karen! Oh go on you, you........MARTHA STEWART!! Geez talk about hard to be friends with the original Domestic Goddess, geez laweez, beautiful as always dear friend. Just so luvly.. warm and cozy. I too have trouble with the real greenery drying out too quickly in the North Central Florida climate, but I still try and add some where ever I can. Your home is beautifully decorated and looks very inviting, Karen. Have a special Christmas full of peace, love and joy and I wish for you a New Year full of beautiful new inspirations! Merry Christmas to you and yours. Thanks for sharing the lovley photos. It's magical. You have decorated beautifully. Loved seeing your dog all curled up...is he a spaniel? I miss my Brittany. Enjoy the festivities. Your home is Gorgeous!!!!! Merry Christmas!!! Love looking at your holiday home! All the details are gorgeous! Merry Christmas and Happy New Year. Your home is gorgeous, and I'm glad you shared it again. 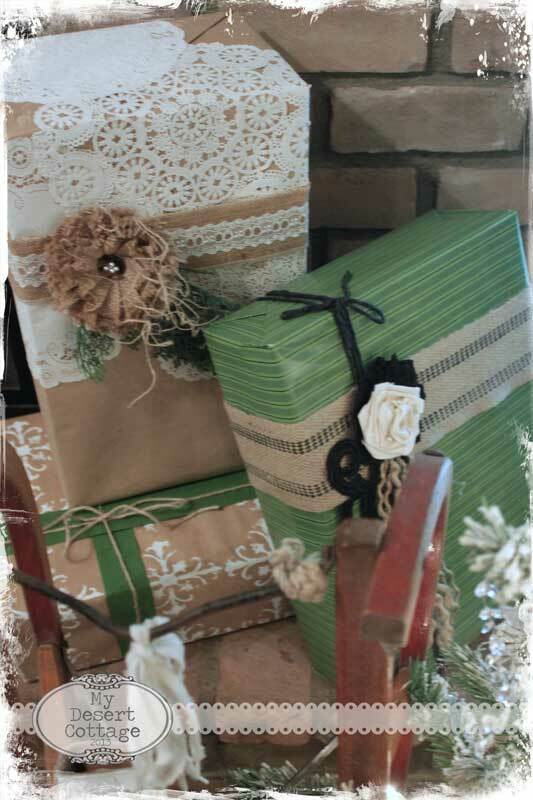 I was thinking how nice the gifts with lace and ribbon looked but understand them now. Your home looks beautiful, Karen! I love your bottle brush trees in the silver. I had hoped to bleach a few more myself this year, but never got around to it. 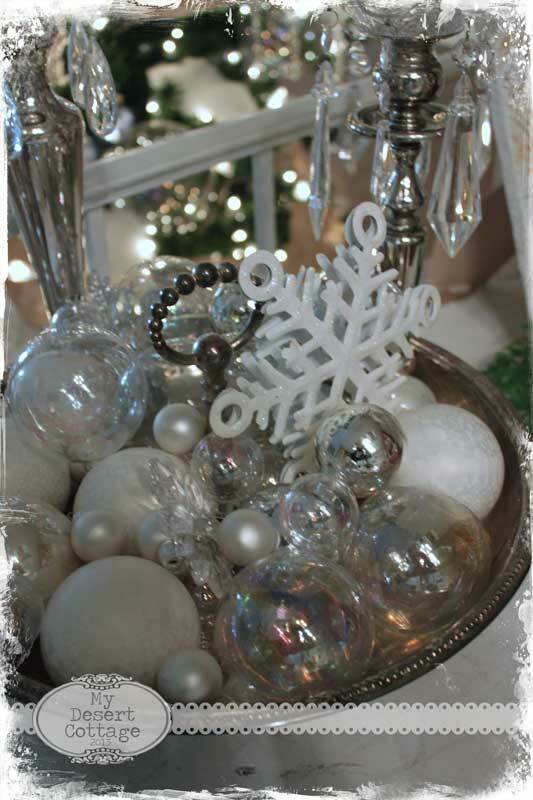 Beautiful vintage Christmas to you and your's! Looks beautiful! 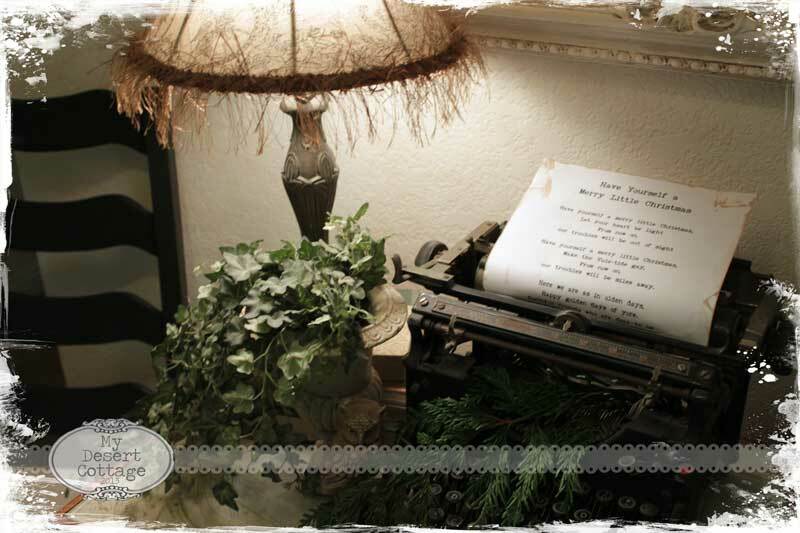 The snowmen are so cute, and I love the typewriter with the song in the entry! Thank you so much for sharing your lovely home. I have not seen your home before, I am somewhat new to your blog. BUT, anyway...AWESOME, your Christmas decor is beautiful, and I am so happy that I had the chance to see how you decorate. I wish you a very Merry Christmas, and a Happy New Year. Bonnie in snowy and below 0 Wisconsin. 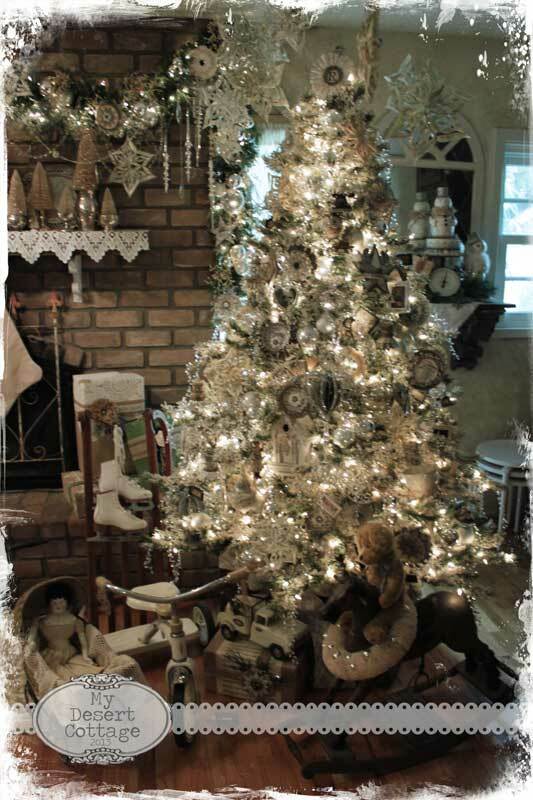 Merry Christmas Karen... as always your Home is a Soothing and Beautiful Space and particularly Enchanting and Inviting during the Holidays. Thanks for Inviting us in just in time for Christmas... may you have a Blessed one. Your house is beautiful ... It's very sweet deco. Have a lovely Christmas Karen and happy New Year. Wish you all the best. 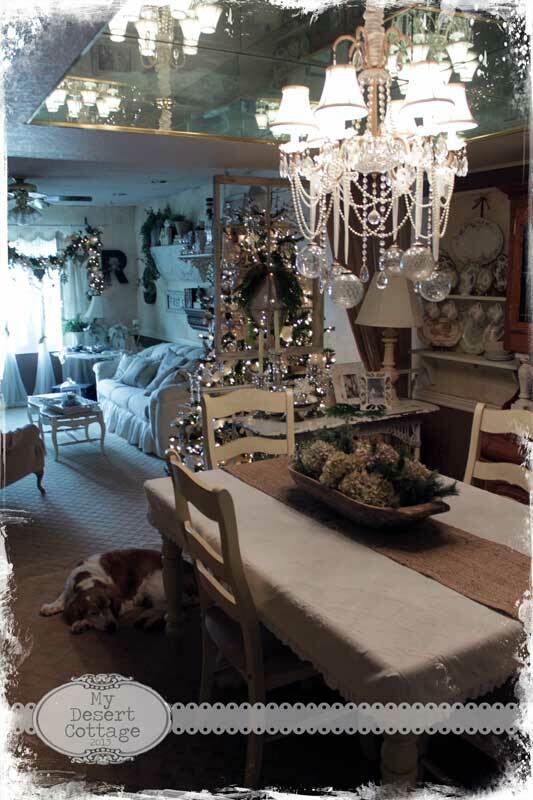 Karen- your home is truly beautiful all dressed for the holidays-- the photos are incredible. You have such a gift for making magic at Christmas. 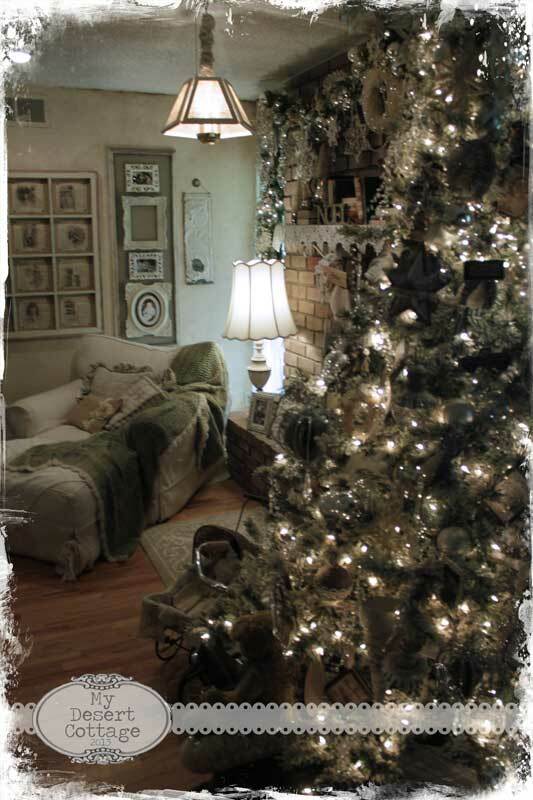 Your home is beautiful..warm and cozy..I love how it's filled in each and every corner..Love your style..Merry Christmas to you and yours Karen..Enjoy the day..
Oh, my, this represents a ton of work I'm sure and it is perfectly beautiful. I do hope the men folks assist you in taking down and putting up. Merry Christmas! Gorgeous as usual! Can we do Sweet Salvage together in January? It looks like a magical winter wonderland! 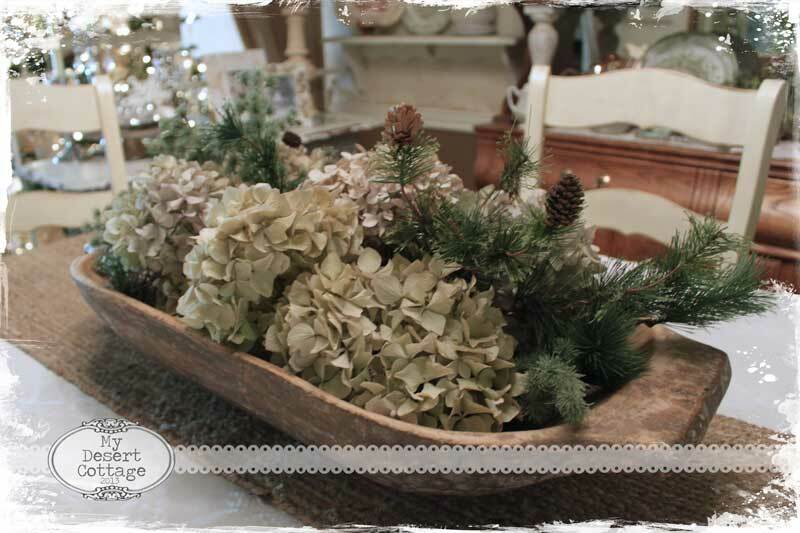 I enjoy visiting with you so much and look forward to more inspiration and creativity in the new year! 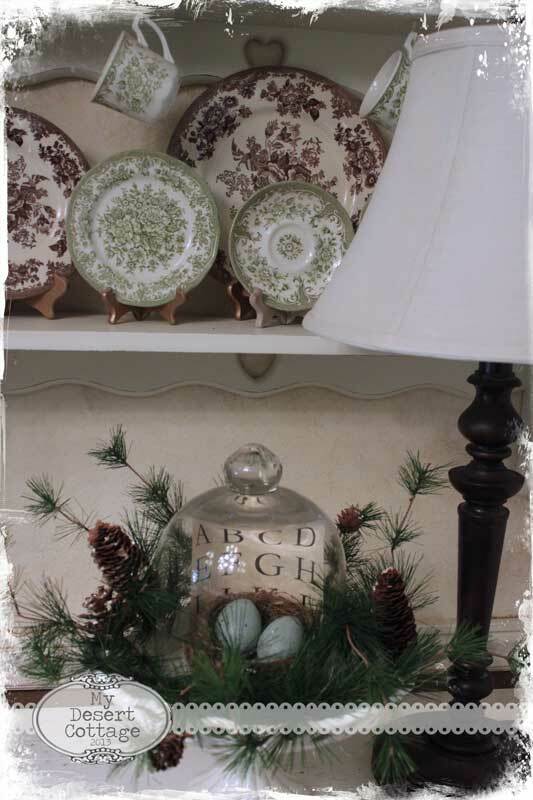 Wow Karen: Everything in your home is magazine worthy! 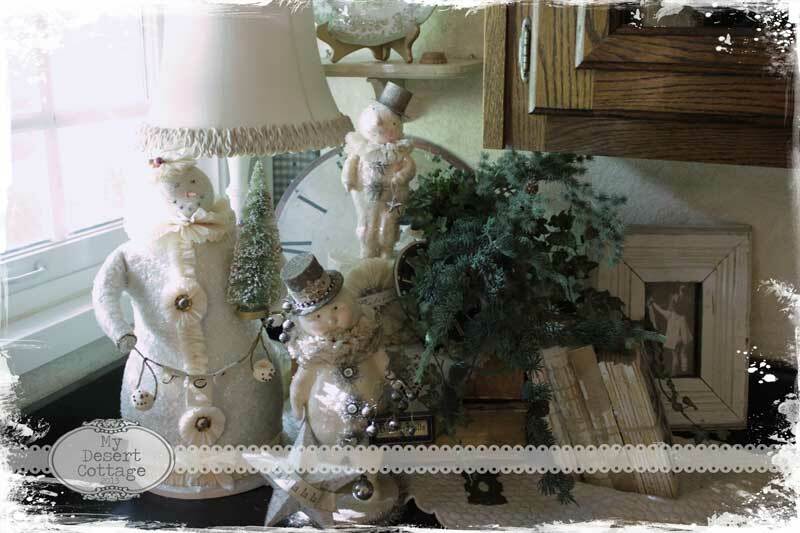 I'm so glad you did post your beautiful Christmas decorations again. 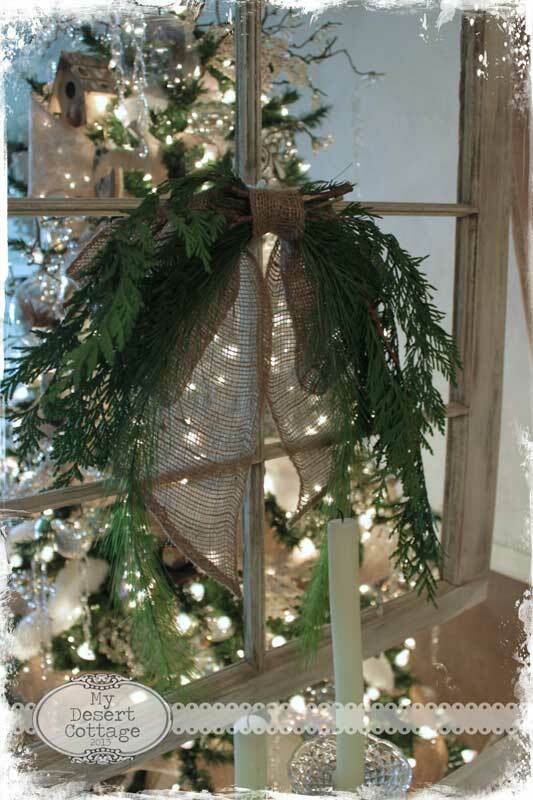 Your tree, mantle and everything else is so gorgeous. Your wrapped packages were divine! You are amazingly talented. 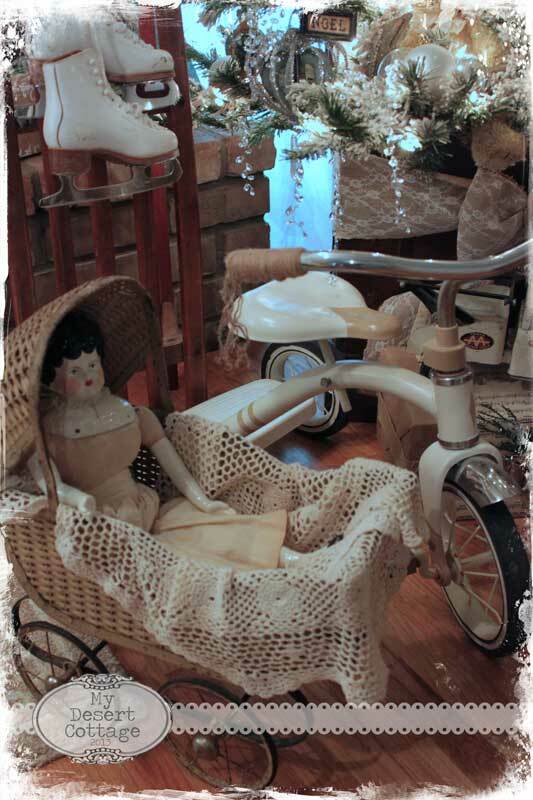 I am just now getting into the vintage look (because I am and it brings back wonderful memories of my wonderful childhood). I have been to every vintage sale/event I could find in the couple months before holidays, but your blog is incredibly inspiring to me. I thought you were posting pics right out of a magazine! GORGEOUS!! Beautiful! 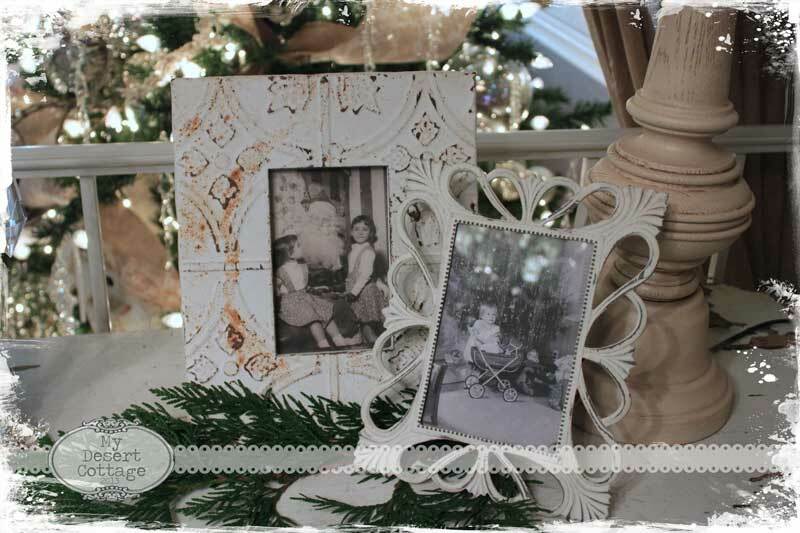 Like your idea of Christmas Pictures of the past in your photo frames. Hi Karen I found you thru Free Pretty things. Love that blog and know I'm going to be so inspired by yours. I don't have my own blog due to fact I'm very digitally challenged. Wish I wasn't but there it is. I spend so much time reading blogs and crafting, trying to keep the utter messes controllable to some degree and putting up with a very grumpy old hubs. I've subscribed as I don't want to miss any posts. So with that said I'd better get busy perusing all posts I've missed. What I've seen of your Christmas photos, oh my, I'm having immediate inspiration. Happy weekend.